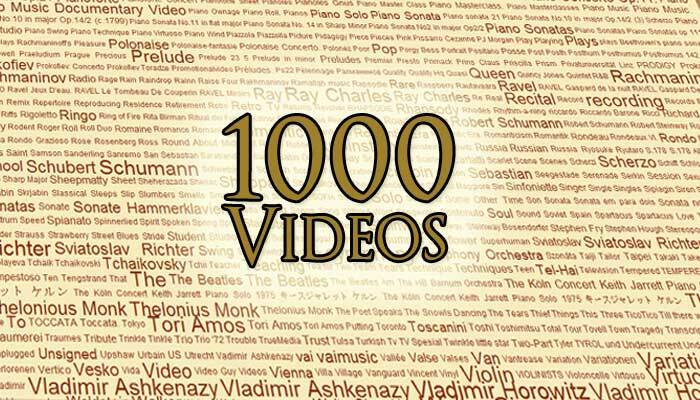 The Piano Encyclopedia Blog – The Piano Learning Revolution » Presenting You… Our New 1000-Video Gallery! In striving to give you the best that we can do, the redesigning of website is not only the “What’s Hot” in our Community. As you may notice, our community place took a step forward. We still adopted the same color and theme and then simply enhance the functions and features and made a little twist around the template, so that users can browse our Community place in a smooth sailing ambiance. We’ve also added the Video Gallery feature that enables the user to search a vast variety from our video library in all genres. With over 1,000 videos already added and ready to view, we have categorized them in order to sort your preferred interests. This gallery includes a selection of over a hundred master classes from the greatest pianists of all time (Martha Argerich, Daniel Baremboim, Andras Schiff – to name a few) and hundreds of professional piano performances (covering from Chopin, Bach, Beethoven, Schuman, Liszt, Rachmaninoff to Miles Davis, Ray Charles – music for all tastes). – just to name a few) great musical pieces (sonatas, waltz, preludes, concertos), or genres (Classical, Pop, Blues, Jazz, Gospel, Reggae – you name it!). Another option is to scroll down a little more and you can see the “Featured Videos”, which typically have thumbnails preview on the Top Videos and the Most Viewed videos. Can’t get over with Debussy’s Clair de Lune? Or maybe Beethoven’s Symphonies keeps rebounding over and over in your head? Then why not hop over to our Video Library and listen to their videos. 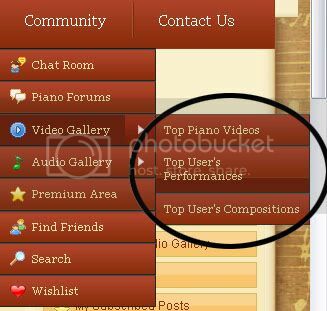 Watch the videos of your favorite pianist straight from YouTube and with no hassle at all. View Billy Evans’ soothing rhythmic jazz of Beautiful Love to classical Alice in Wonderland Trio. Listen to Sviatoslav Richter’s revived Beethoven’s sonatas. Venture through classical virtuoso pianist, Vladimir Horowitz’s in video as he gives life to Chopin’s Mazurka. Or perhaps, you like Albert Cortot playing César Franck’s Prelude. You can pick your own preference! If, by chance, you do not know any of the music geniuses, then why not browse them through genres? While new aspiring and amateur musicians or pianists do not like to study old, brainy, and historical folks in a boring way, why not listen their performances and find out which genre they belong to as well as impressing your teacher on what you’ve learned? Classic. These videos contain all the classical masterpieces. Either played by the original composers or revived by great pianists, these musical pieces never grow old. Blues. Influence by different piano players, blues can be catchy or melodic. Jazz. Originated way back from 1920’s, it has been popular with its dance music. Some musicians styled these pieces into improvised harmony. Ballad. They are often distinguished by its slow, despairing, and romantic movements. We are not going to throw a party for this. We just simply want to welcome you to our new environment and let you try out our fresh Video Library features. Drop some comments and feedback regarding our new look, as well as our new Video Library. We will appreciate it. See you next time folks. Enjoy!